The new system aims to empower families and give them more choice and control. This can be daunting for some so we want you to have as much support as possible so you can be informed and confident. The Special Educational Needs and Disability Information, Advice and Support Service (SENDIASS, formerly Parent Partnership) gives parents, carers and young people (over the age of 16) impartial guidance on the new system. If you are going through an Education, Health and Care Needs Assessment, you are able to request an Independent Supporter from SENDIASS. Suffolk Parent Carer Network can also provide confidential support to parents and carers. If things don't go as you would like them to, you can use our Mediation and Disagreement Resolution provider, Anglia Care Trust to help resolve your problem. If you are not happy with the outcome, you can use the SEND Tribunal. Please note that you must use mediation or disagreement resolution before appealing to the SEND Tribunal. However, we wish to assure all parents that we see the SEND Tribunal as a last resort and sincerely hope we can reach a mutually acceptable position without recourse to the SEND Tribunal. Decisions about provision for children and young people with special educational needs or disabilities (SEND) should be made as soon as possible. However, where agreement cannot be reached, early resolution of disagreements is beneficial. SENDIASS (formerly Suffolk Parent Partnership) can provide access to mediation/disagreement resolution support. There is a distinct difference between 'disagreement resolution' and 'mediation'. They refer to different processes. The Local Authority must make disagreement resolution services available to cover all children and young people with SEN, not just those with an Education, Health and Care plan (EHCP) (SEND Code of Practice, 11.6). The use of these services is voluntary, unlike that of the mediation service - please see below. Disagreement resolution can help parents and young people to resolve disagreements about any aspect of SEN provision. Mediation arrangements apply to parents and young people who are considering appealing to the Tribunal about EHC needs assessments and the special educational element of an EHCP (SEND Code of Practice, 11.5). Under the new guidelines, parents and young people must contact an independent mediation adviser before registering an appeal about EHC Needs Assessments or the SEN element of an EHCP. to cease to maintain an EHCP. Mediation can also take place, if parents or young people want it to, after they receive a final EHCP or amended plan. Mediation is confidential, without prejudice and privileged - what you discuss during mediation cannot be disclosed in court without consent. In Suffolk, we use Anglia Care Trust to provide a mediation and a disagreement resolution service. The guide ‘When people can’t agree – Special Educational Needs and Disability Complaints: a guide for Young People in education’ can be found here - https://www.sendpathfinder.co.uk/send-complaints-a-guide-for-young-people-in-education. You can appeal to the First-tier Tribunal (Special Educational Needs and Disability) if you disagree with your local authority's decisions about your child's special educational needs. You can find more information on appealing on the GOV.UK website. This is something we hope will not be necessary as we are fully committed to working with families to ensure the best possible outcomes for all children and young people. A 2-year national trial began on 3 April 2018 to extend the power of the special educational needs and disability (SEND) tribunal. As part of a special educational appeal, the SEND tribunal will be able to make non-binding recommendations on the health and social care aspects of Education, Health and Care (EHC) plans. You can find out more about this change on the gov.uk website. 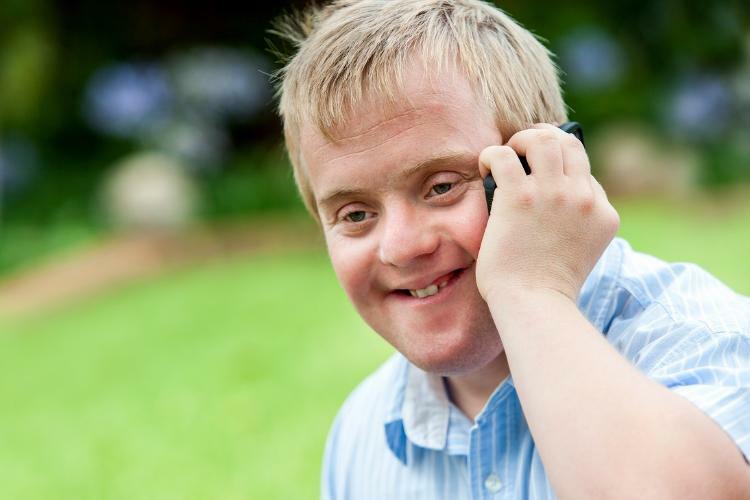 The Special Educational Needs and Disability Information, Advice and Support Service (SENDIASS) provides information, advice and support to young people with SEN or disabilities aged 0-25, and their parents, about education, health and social care. SENDIASS can provide legally based, impartial, confidential and accessible information, advice and support and offer face to face, telephone and electronic information and advice as well as casework and representation when needed. In Suffolk, parents and young people can contact the helpline on 01473 265210. This is often busy so please leave a message if you don't get through straight away and the team will get back to you as soon as possible. They will not give you their personal opinion, solve problems or make decisions for you, but they will listen to what you want, support you to speak up for yourself, and help you to find information to make informed decisions and take control of your life. Suffolk County Council offer a free advocacy service for children with additional needs, who are under 18 years old. Our advocates do not work for the county council; they are provided by our partner agencies within the voluntary community sector. Advocacy can help you with a wide range of issues, for instance; ensuring that you get the right support in social care, in health and in education. If you would like to find out more about the advocacy that we offer for young people with additional needs, please contact Anglia Care Trust. If you are looking for advocacy support, and you are 18 years or older, please visit our adult advocacy page. The Children’s Education Advisory Service (CEAS) within the Ministry of Defence provides advice and guidance to Service parents, educational establishments and local authorities on educational issues relating to Service children, including issues relating to SEN. As such, links to CEAS should be included on all local offers, as essentially any Service family, anywhere in England, can access CEAS support. For more information, visit the GOV.UK website. The Suffolk Parent Carer Network (SPNC) are a group of parents and carers of children with additional needs dedicated to playing an active part in the planning and delivery of services for disabled children. If you are interested in joining the group please call 01473 345375. The YPN is a growing network of young people who want to have their say to help shape the services and support provided in Suffolk for children and young people with special educational needs and disabilities (SEND). If you'd like to find out more, or are interested in joining the group, please email SuffolkYPN@suffolk.gov.uk.